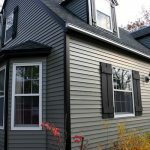 Many people don’t realize that you don’t have to replace your old windows with new ones that have the same opening style. 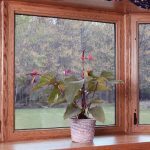 Air leakage in and around windows is a big factor in the window’s overall thermal performance. In terms of air leakage, the best window is fixed; that is, can’t open or close. There simply aren’t any gaps and openings for air to find its way through. 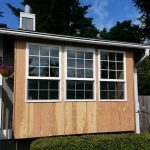 While useless for ventilation or for escaping a fire, fixed windows may be an excellent option in certain locations. Nearly as good are “casements” or awning-style windows that crank open and closed. Because the seals are compressed slightly when the window is closed, it is difficult for air leaks to develop. The least efficient opening style is sliders. Many people select sliders simply because that is what they’ve always had. 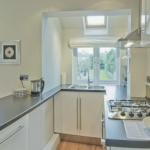 There are plenty of good sliders on the market, but they have to rely more on other features, such as low-E coatings (see below) and more glazing layers, to deliver top energy performance. Sliders, which have more joints and gaps, are also more susceptible to air leaks as the seals age and get worn or lose their resiliency. Need to find a pro for your Replacement Windows? The window frame is the key to the long-term structural integrity of the window. If the frame warps or cracks, the window’s performance can suffer enormously. And, as much heat can be lost through the frame as through the glazed (glass) portion of the window. Both wood and vinyl frames perform well, whereas a metal frame doesn’t often contain heat well. However, metal frames are generally stronger, which becomes a factor in commercial applications or with extra-large windows. 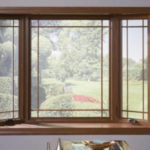 For normal residential windows, most homeowners choose vinyl or wood. With vinyl windows, avoid frames that are held together with screws because they tend to loosen over time. Instead, look for “welded” seams, where either heat or chemicals have been used to fuse the joints. In terms of energy savings, wood and vinyl are comparable. Some people prefer the aesthetics of wood, though it lacks the maintenance-free aspect of vinyl. Most older windows are made with a single layer of glass. The most popular replacement windows are made with two panes of glass. 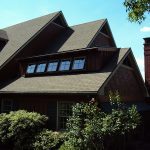 Some people opt for triple-pane windows to maximize the improvement in thermal performance. Added glass layers improve performance in two ways. First, enclosed air and other gases are effective insulators. The more enclosed spaces the window has, the less heat can escape. Each layer of glass also provides more surfaces for low-E coatings. Some windows use a plastic film suspended between two layers of glass to achieve a triple-pane effect at a lower cost. Low-E coatings are almost invisible finishes that are usually applied to glass. While they let through most of the light humans can see, they block much of the heat-intensive infrared light, thus improving the window’s insulating value. Some windows have the low-E coating on a film suspended between two layers of glass, creating the effect of a triple-glazed product. While plain air is a good insulator, some fill gases, like argon, krypton and carbon dioxide, are even better. The gas or combination of gases affects the window’s overall thermal performance. 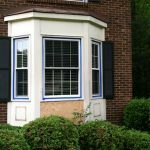 Is it time to replace your window glass? 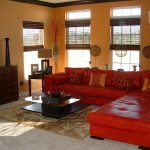 Review replacement glass for windows prices before calling in a professional. Fortunately, the National Fenestration Rating Council has developed a rating system that considers nearly all of the above factors. One element the NFRC rating system doesn’t account for, however, is the long-term durability of the product because it rates the window only when it is new. The NFRC gives each window a U-factor rating. The U-factor is the inverse of the more familiar R-factor used in attic insulation. So a U-factor of .5 equals an R-factor of 2. The lower the U-factor the better it is. The U-factor marked “BB” or “Non-Residential” is for commercial window applications. Use the U-factor rating to make meaningful comparisons. Be wary of a window vendor who won’t provide this number. You don’t expect to live in the home long. You have less expensive gas or oil heat. You expect energy prices to remain stable or drop. You expect to have more income in 10-15 years. You expect to live in the home for 10 years or more. You have more expensive electric heat. You expect energy prices to rise sharply. You expect to have less income in 10-15 years. The NFRC ratings don’t address window durability directly. If the windows warp, leak or loosen over time, their U-factor ratings are likely to plummet. 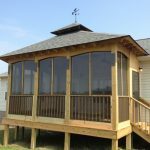 Your best resource for choosing a durable, problem-free window is to rely on the advice of a reputable installer. He or she will be interested in your long-term satisfaction and will quickly steer you clear of windows that don’t hold up well. You can also inspect the window before buying. Look for a good fit between parts. Slip a business card between any slidable sashes and the frame. The card should slide, but there should be some resistance. Low U-factor ratings and durable construction are both determined by attention to details. In general, the better rated windows will be better made as well.